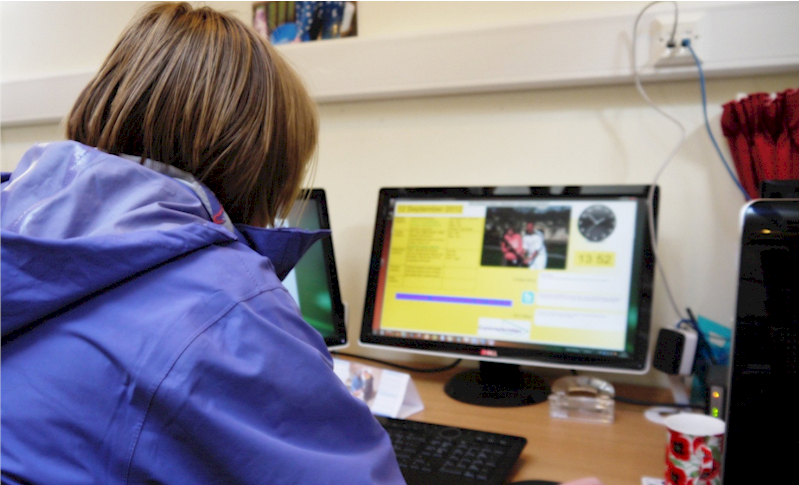 "We already have our own news feed on the RepeatServer which the office finds easy to update and we also incorporate the Chief Executive’s twitter feed"
"Cantraybridge is a small college for adults with learning difficulties and we were looking for an electronic noticeboard that could be used in several locations to update staff and students of the coming week’s events and if possible to allow the students an input into updating the display. 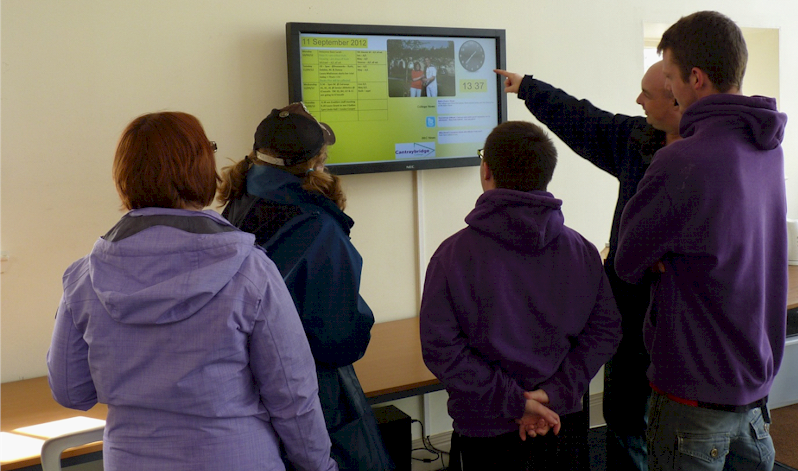 Thanks to funding from the Karten Network we were able to purchase two large display screens and Repeat Signage software. One of the things that I particularly like about the software is its compartmentalisation. For instance the office updates an RTF document which updates our weekly events list and it doesn’t matter to the overall display if there are mistakes made in this area. Similarly the student association are going to have a news feed hosted on Repeat Signage’s RepeatServer which they will be allowed to update and again it is not going to cause any problems to the rest of the display if mistakes are made. The students are already able to update the photo slideshow easily". displays they also have a smaller display running on an old Windows XP machine. "We already have our own news feed on the RepeatServer.com which the office finds easy to update and we also incorporate the Chief Executive’s twitter feed. Another feature we have found very useful is that we can have different displays based on the same information. Apart from the two main displays we also have a smaller display running on an old Windows XP machine which only displays the RTF document with the weekly diary and the news feed and this is perfect for where this display is situated. Repeat Signage, user-friendly, professional digital signage software is ideal for education as a vary of media can be included in presentations. Staff and students can easily update RSS feeds remotely over the Internet, which gives you a flexible software package with no on-going costs.